Rebuild Superior, Inc. – Together, We Are Superior! Welcome to Rebuild Superior, Inc. 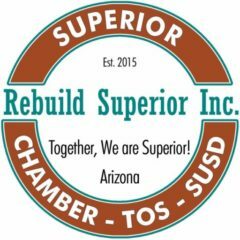 Rebuild Superior, Inc. (RSI) is Superior Arizona’s economic development non-profit where the Superior Unified School District, Chamber & Town, working with residents, create our future. RSI works with the Town of Superior, the Chamber of Commerce, the Superior Unified School District and all civic organizations to promote economic development and sustainability through business diversification. It seeks to increase income and reduce poverty through entrepreneurship and employment opportunities. 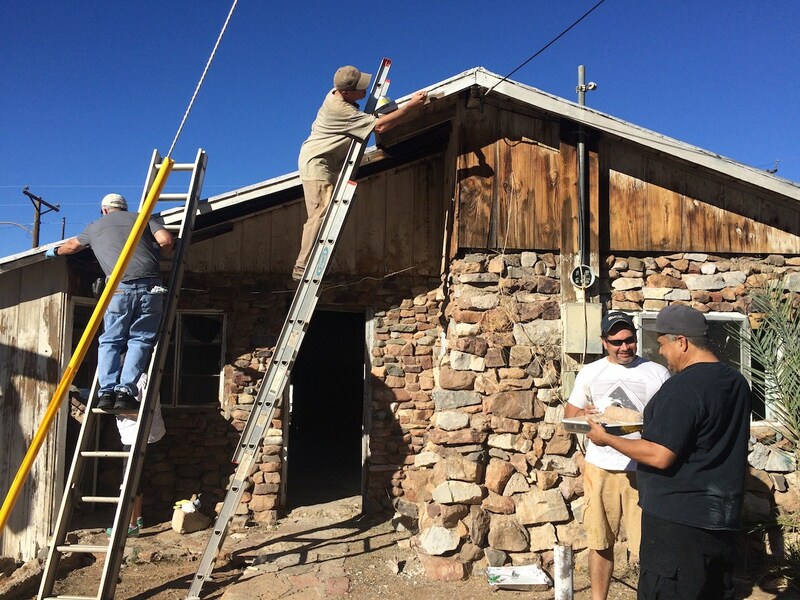 Community blight – RSI, with the Chamber of Commerce, the Town government, local and external organizations, and volunteers are working now to improve Superior’s appearance. Commercial property & homes – RSI will work with Superior and external organizations to make additional commercial properties and decent, affordable homes available, which will attract more business, tourists and new residents as well as make Superior nicer for those of us who live here. Local economy – RSI is working with partners to help grow and diversify Superior’s economy. Workforce & Jobs – RSI will work with the Town, the Copper Corridor Economic Development Coalition and the Superior Unified School District on a workforce strategy that prepares local residents to qualify for projected employment and small business opportunities. Rebuild Superior, Inc. started in mid-2015, became an IRS recognized non-profit in February 2016. A VISTA (Volunteers in Service to America) member began work with RSI in June 2017.